From spreadable bacon to toasted marshmallow, use our list as a starting point and see how many directions you can go with your corn. 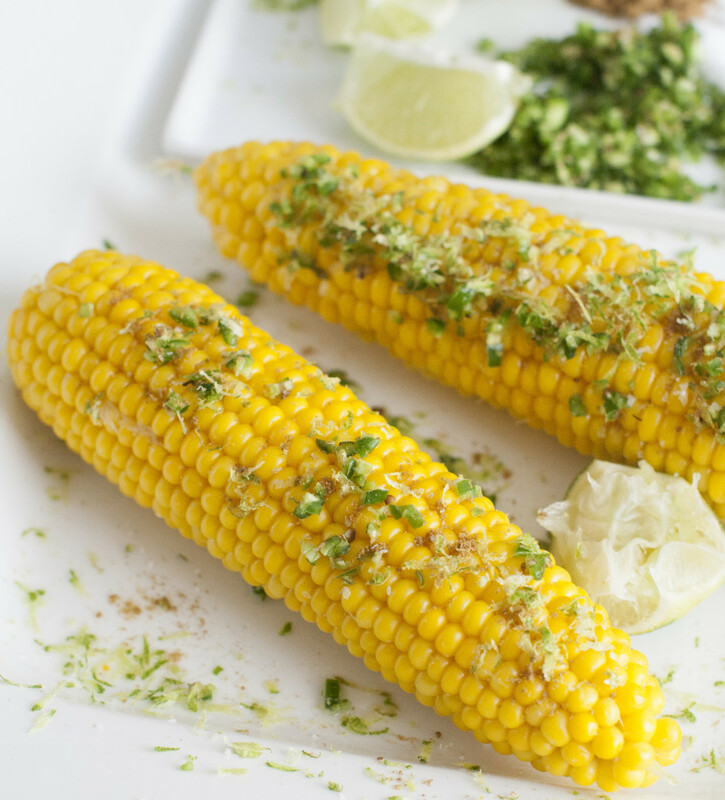 It’s hard to improve on the delicious simplicity of summer perfect corn on the cob slathered with butter and sprinkled with salt. But we figured we’d give it a try anyway. And we quickly learned that fresh corn is a splendid foundation on which all manner of flavor combinations can be built, from sweet (check out the Fluff masterpiece below) to savory (bacon, anyone?) to spicy (chili lime!). So use our list as a starting point and see how many directions you can go with your corn. Bring a large pot of water to a boil. Season heavily with Old Bay Seasoning. Boil husked ears of corn until tender, about 5 minutes. Serve with butter and an additional sprinkle of Old Bay. Cook 1 slice of bacon per ear of corn. In a food processor, crumble the bacon and process until finely chopped. Add 1 tablespoon of butter per ear, a pinch of salt and black pepper, and 1/2 teaspoon balsamic vinegar. Spread on hot corn on the cob. Spread 1/2 cup ground almonds on a rimmed baking sheet. Bake at 350 F until golden and toasted, about 8 minutes. Allow to cool. Mix in 2 tablespoons finely chopped fresh tarragon and 1/4 teaspoon kosher salt. Coat each hot ear of corn with butter, then roll in the almond-tarragon mixture. Husk 6 ears of corn, skewer with long skewers, and coat lightly with cooking spray. Grill over medium-high until tender and lightly charred, turning frequently. 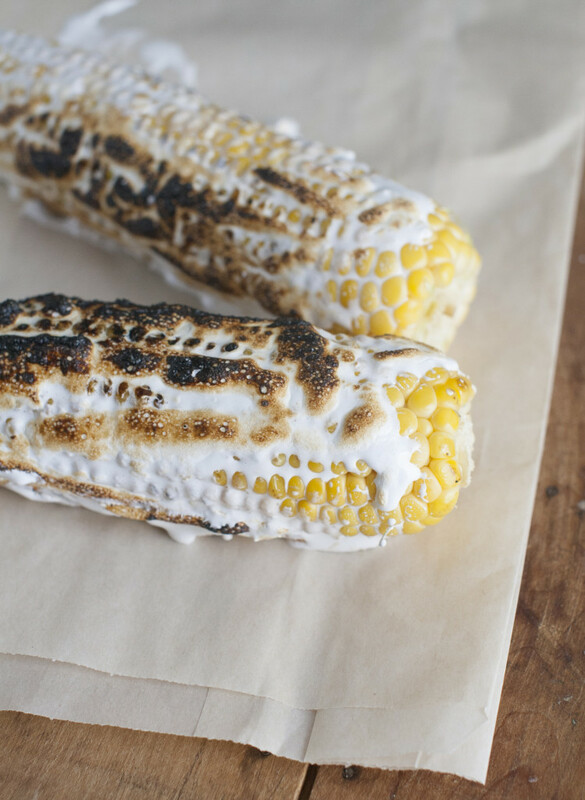 Spread each ear of corn with a couple tablespoons of marshmallow spread (Fluff). Turn the grill flame up (or use a campfire) and toast the marshmallow on all sides. Spread cooked ears of corn on a platter. Sprinkle with fresh lime juice, finely grated lime zest, ground cumin, minced serrano chili and salt. Mix 2 tablespoons minced Kalamata olives, 2 tablespoons minced green olives, a pinch of saffron and a pinch of black pepper into 1/4 cup mascarpone cheese. Spread over hot corn on the cob.